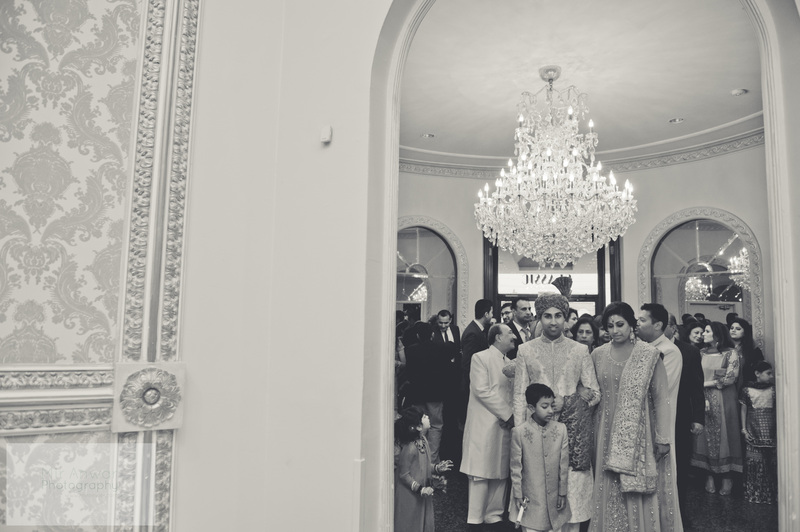 This is the culmination of months and months of planning of my big fat Pakistani wedding! 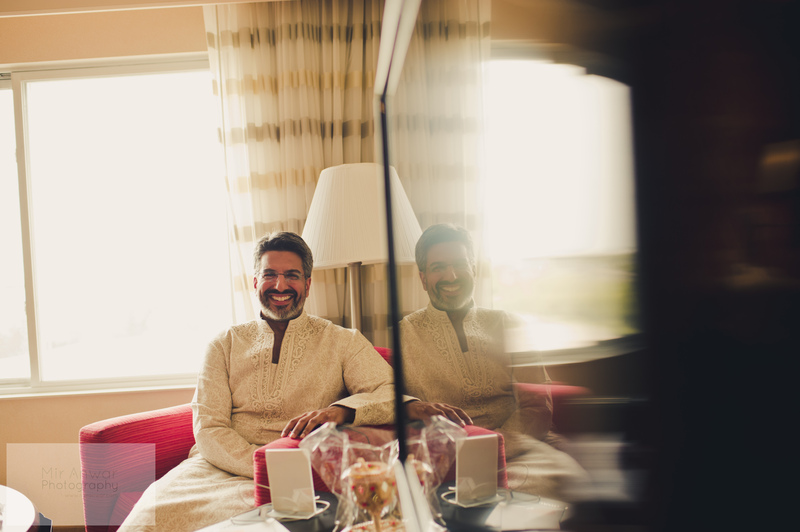 These are just some choice moments, well captured by Mir Anwar, which I’ve put together to tell the story of my big day; enjoy! 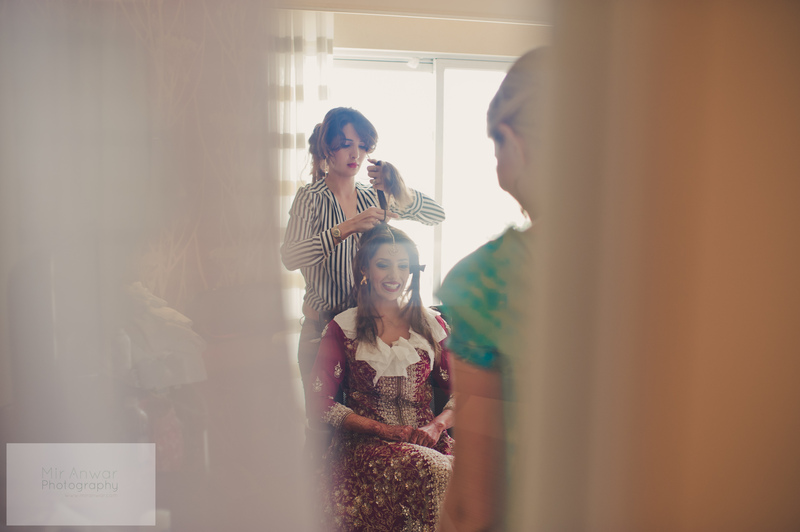 Great Blog and beautiful wedding! 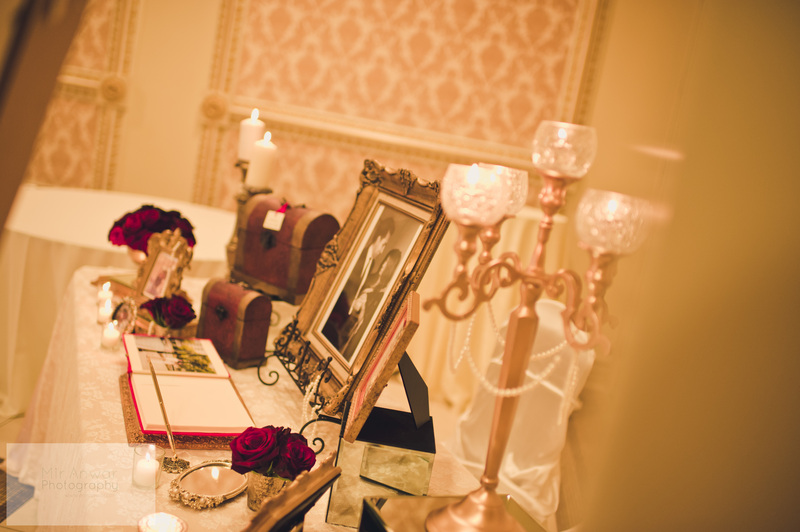 One question….did you have a wedding planner? Hi, loved all your wedding days! 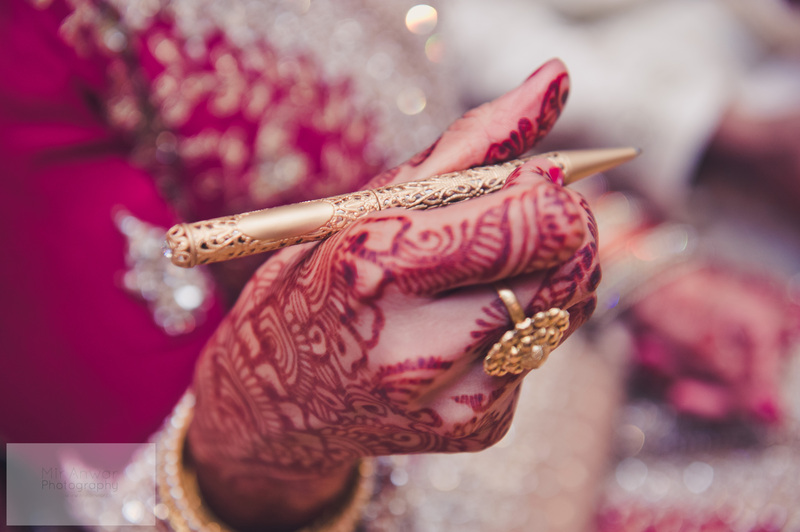 Since you didn’t have a wedding planner, can you write a blog post of how you managed to do it all by yourself. My wedding’s in a year and I’ve started a little, but it’s quite stressful. OMG OMG!!! That’s beyond admiration. I wonder how did you manage it all? 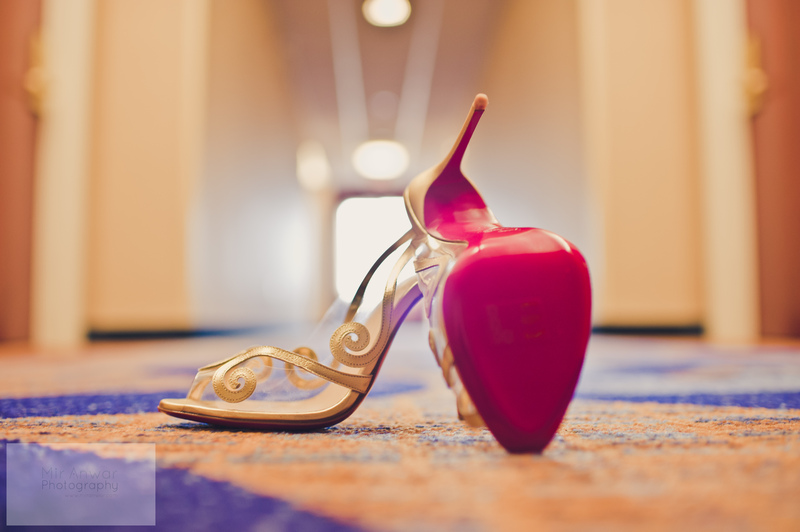 Please share with us about how did you add details to your big day? And it actually turned out to be BIG!!! Wow! I am beyond impressed. I didn’t think it was possible to pull off a wedding without a planner, but you have changed my mind. 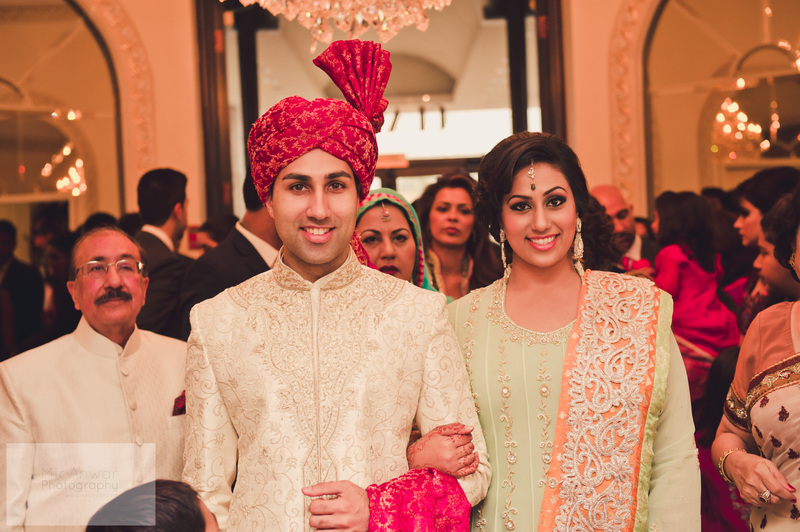 Also, you looked ravishing and you guys make a great couple Mashallah. Thanks for your help! Hello beautiful bride! This is a great blog and I’m glad I came across it. Love every last bit of detail. 🙂 Is this paradise hall? If you don’t mind me asking how much was pp? or the hall price? Aw thanks Nina! Yes, it is Paradise hall! 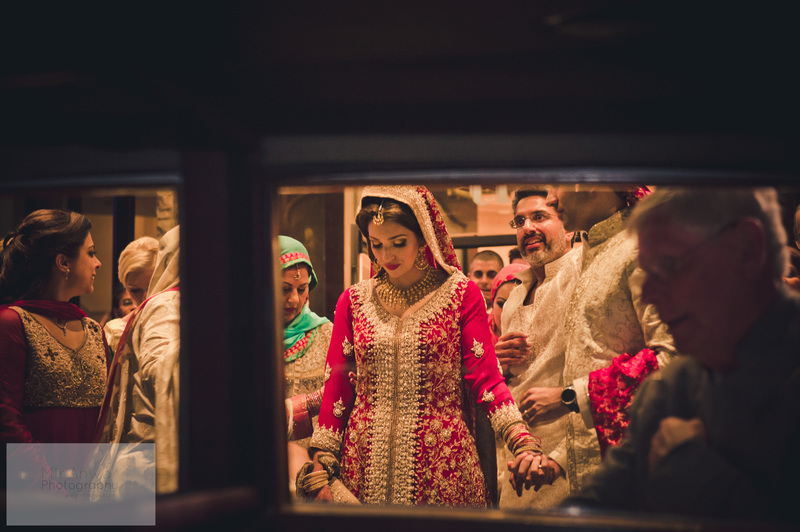 We had negotiated the price to $40/pp and went with their in house desi caterer which had changed from when we first booked to my wedding time, ended up being the Host and we were very happy with the food! Im not sure the rates would be that anymore tho because we did book when it wasn’t the host and in 2012 but always just negotiate as much as you can ! Thank you so much for your response. 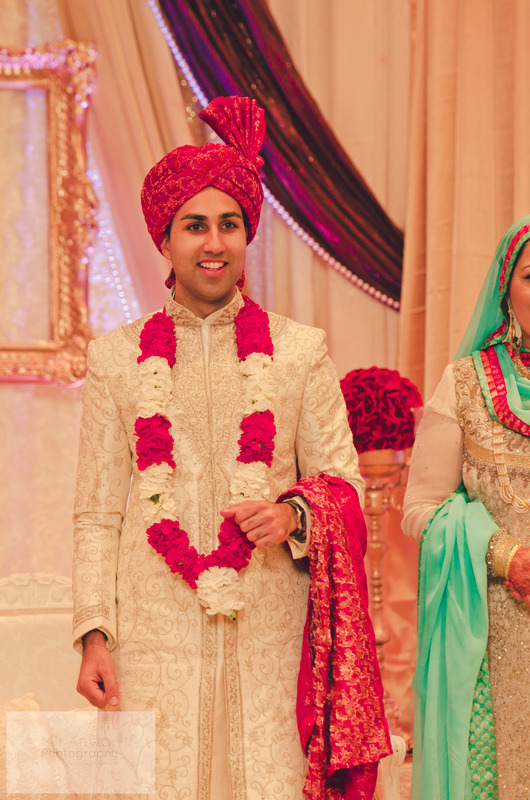 Wishing you both a very happy married life together! So incredibly gorgeous. Congratulations! I hope my wedding turns out as beautiful as yours — wish me luck! Hi there! 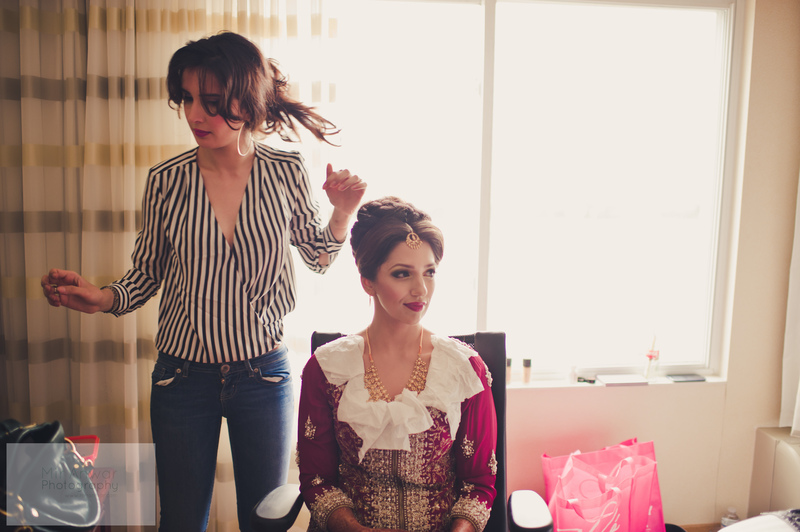 Fantastic Blog and a stunning bride! This is very helpful. I came across your blog this past week. 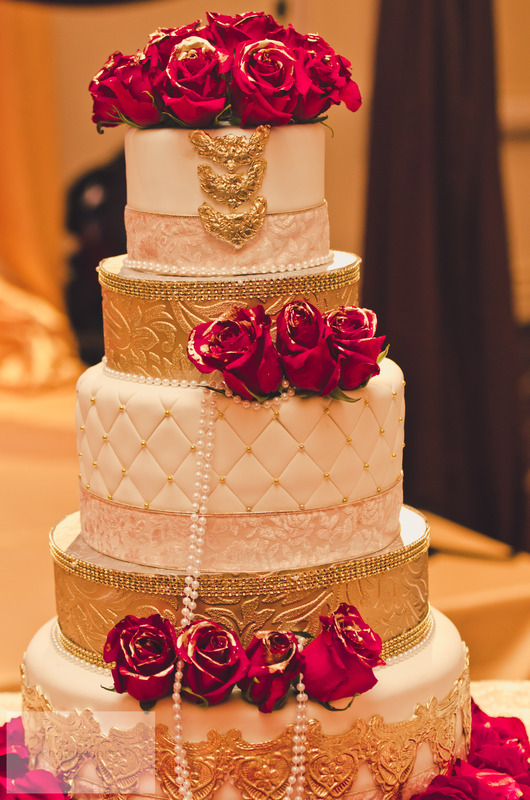 Can you share the cake story with us ? 🙂 I don’t see it on here yet! Best wishes to you and your husband! Wow! 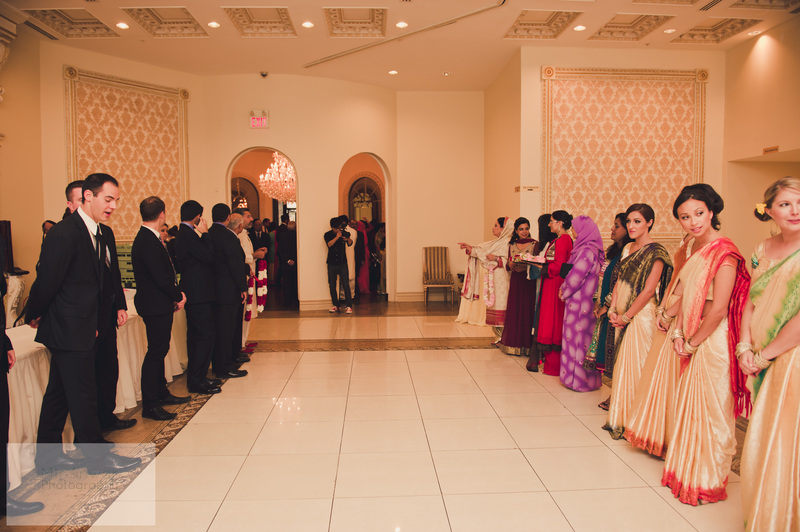 You looked ravishing & the decor by far the classiest I’ve seen in Toronto, or Canada, for that matter…..us desi Canadians have a long way to go where aesthetically pleasing shaadis are concerned. Do you mind telling me, even a ball park figure, of how much your planner/decorator charged both days, that is Shaadi & avail a. It was breathtaking! & I have my wedding coming up in less than 18 months. Thanks so much for sharing all that you did & best wishes for the future. I also lowered centre piece costs by doing half of the tables with the red roses and tge other half candelabra (which cost less) to save a bit there, and it also made for a more interesting dynamic in terms of the room look. Re: the stage I also determined what I wanted to spend and was able to find someone who could work within my budget. I think when it comes to keeping costs in check the newer talent you can find the lower their prices will be because they’re just starting out. Sorrry I couldn’t be more explicit with pricing, but research as many options you can and have a max budget in mind. Hi Tay, thanks! 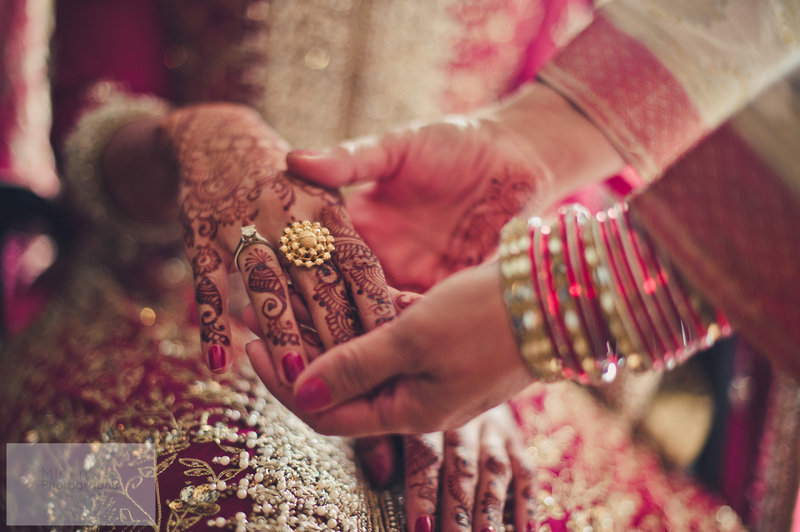 The mehndi was at the gambel barn in Milton, the wedding at Paradise Banquet Hall in Vaughn and the valima at the Mississauga Convention Centre. I LOVE YOUR BLOG!! I’m getting married in June and I have loved reading and re-reading your blog. You looked beautiful mashallah. I am going to trial with Summera (I don’t want to go with Shirley either!!) Curious to know, how did your makeup hold up through out the night. As well as your dupatta etc. Hi Sara! Aw, thank you!! 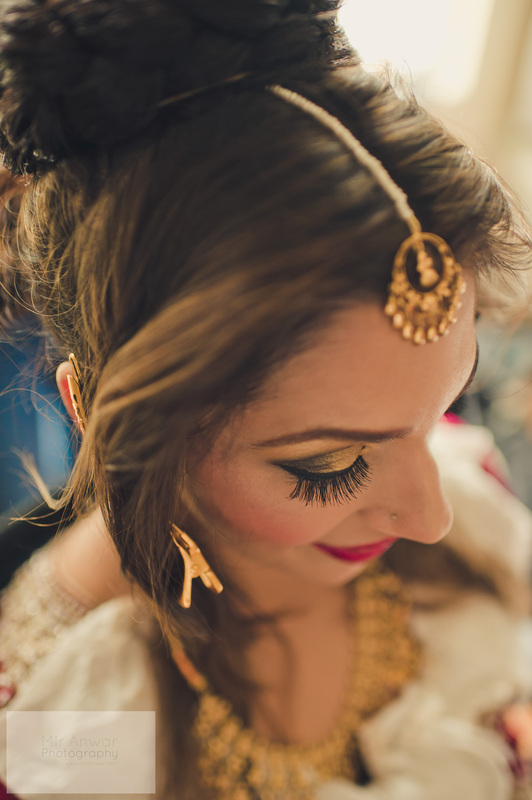 My makeup lasted all night and my dupatta stayed put – overall I was really happy with Summera 🙂 congrats on your upcoming wedding! !! 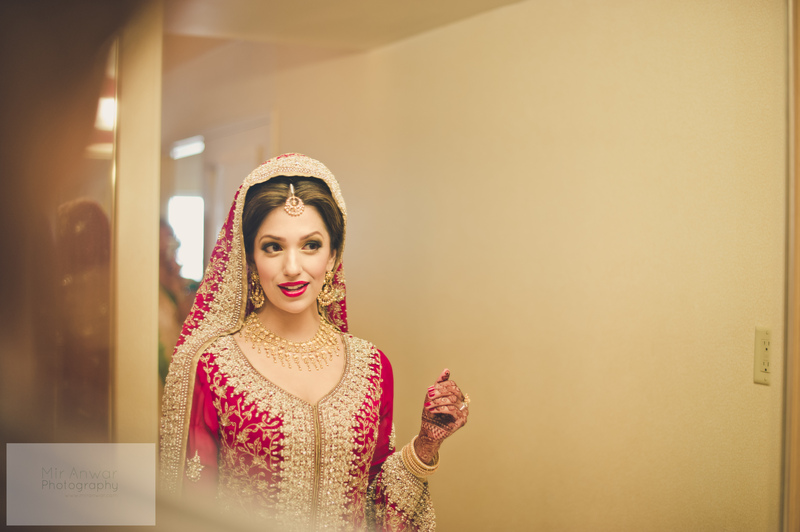 Love your shaadi outfit – i know that you said you got it in Lahore when you went to Pakistan, how much did you pay for your outfit? Also, did you order your outfit ahead of time or did you end up liking this particular outfit when you went to their store? 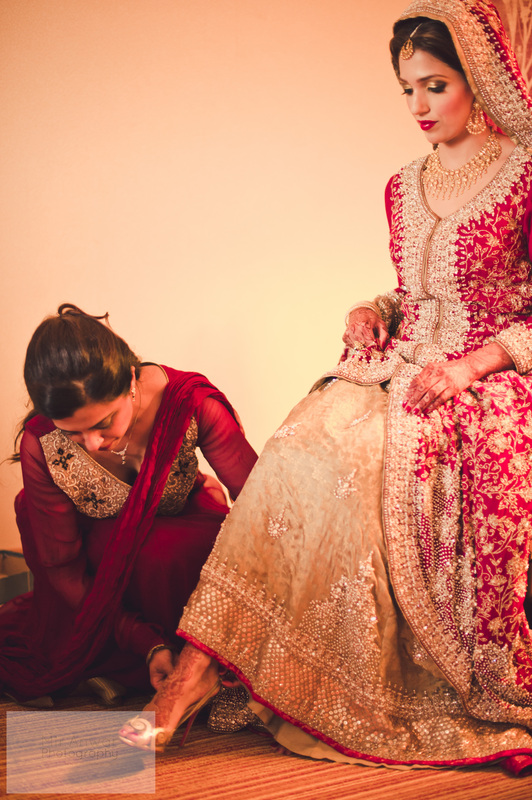 I’m from the US and going to Pakistan for shaadi shopping and wanted to get a feel on how much the bridal outfit costs as yours is so intricate. Thanks! Hi Sahira! Congrats on your upcoming wedding! I liked this outfit after I saw it in the store, tried on their sample, and placed my order 1 wk later, and they actually had it made in two weeks! Their pricing starts at 3500 but to reduce the price I reduced some kaam on the back and they made it for 2000. Overall I was so happy with Karma, they were fantastic! Hey! Thank you! 🙂 its fun sharing experiences especially when they’re helpful for others! i have a concern and would like some advise please. I would like to have my Nikha and reception on the same day but would prefer to have the Nikha in the afternoon and the reception in the evening of the same day so we can take pictures in between is that crazy thought? Also will it be too stressful if i were to change outfits in between as well? 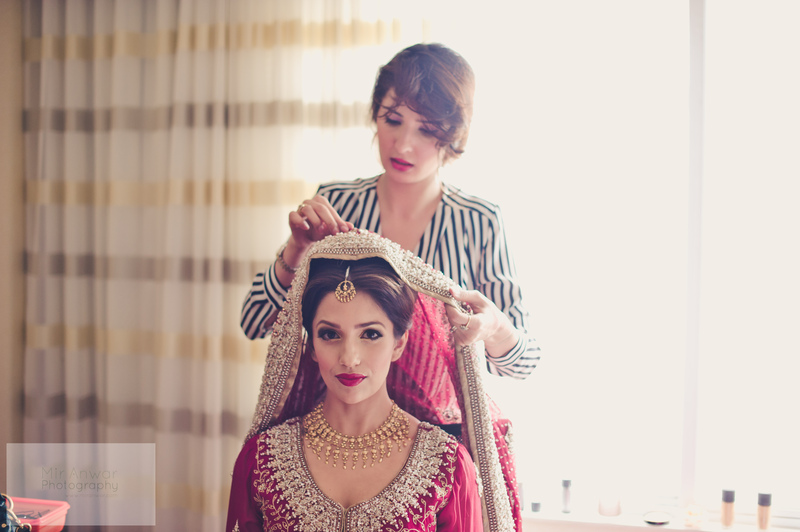 Hmm I don’t think it is, that’s how most non-desis structure their weddings as well….as long as it’s organized and you can ensure it runs on time, I think it could work out really well! thank you, I loved your wedding outfit. I may have missed it but what store did you purchase your outfits from in lahore? Love your blog. I just had a question. I am having my nikah on stage like you and my dad keeps insisting we need a coffee table on stage for the duration of the signing. I think this will not make for good pictures. It appears your nikah is in some sort of book or hard surface? Do you have any suggestions to make the nikah signing easier without a coffee table obstructing the view. Hi Mariam! Hmmm, I think the imam just put a book of some sort on my lap for the signing of this, but to be honest cant recall! We didn’t have a coffee table though and it worked out fine!! hi, amazing wedding !! i am one of your biggest fans ! 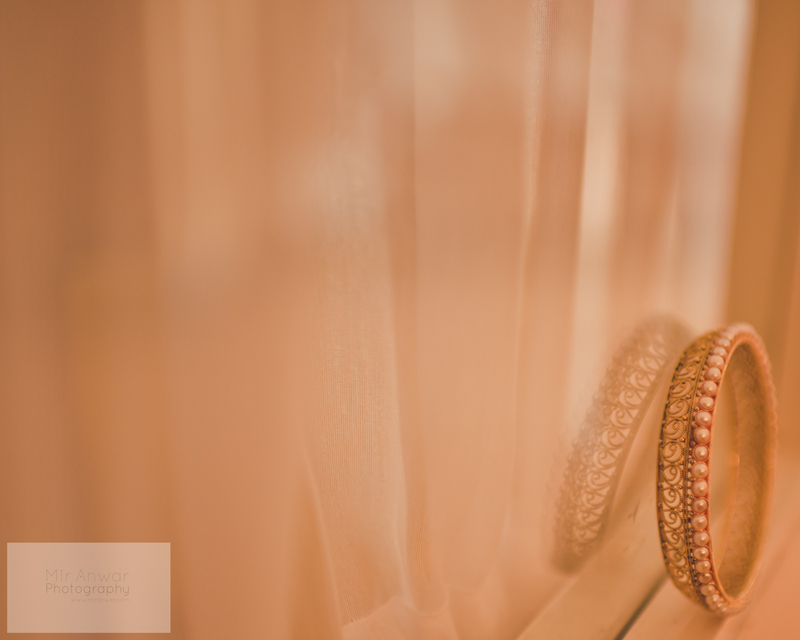 just love how you put all the wedding details which are very helpful for the future brides! 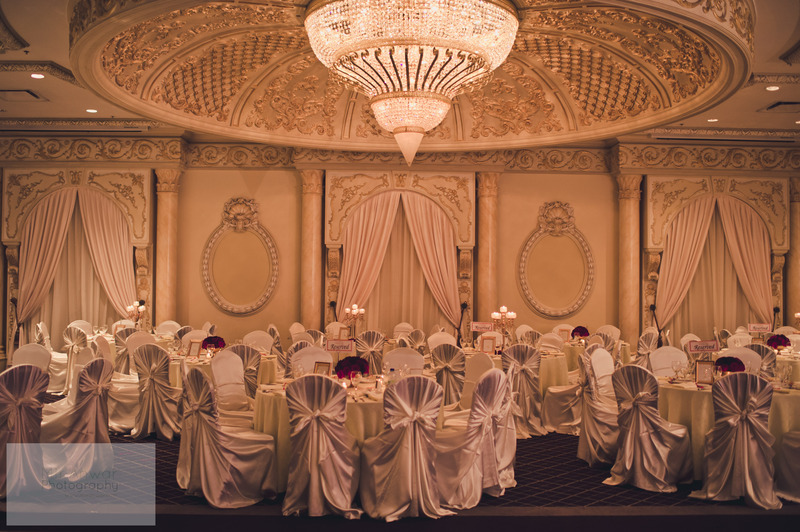 one question for you: what was the name of your wedding hall and how is your decor person? Thank you love ! sorry who is your decor person*? Hi Tehreem, aw thank you! 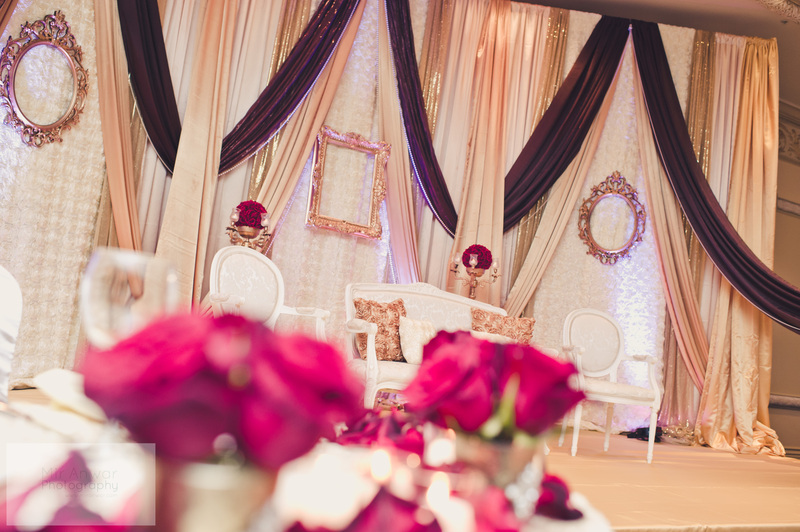 My wedding hall was Paradise in Vaughn and my decor person was Amna of Lemon Truffle design! Congrats and happy planning!! Woww. Congrats! !I have been going crazy looking for makeup artists in Toronto. My sister got her makeup done from Shirley Wu but im looking for somebody else. Im loving your blog. It’s really late at night and I can’t stop reading. Hey Sabrina! Aw thank you, so glad you’re enjoying it! Try Summera! I love her! Congrats on your upcoming wedding and happy planning! ! Hi Shaidi, thank you so much for your heartfelt words! So very sweet, thank you! 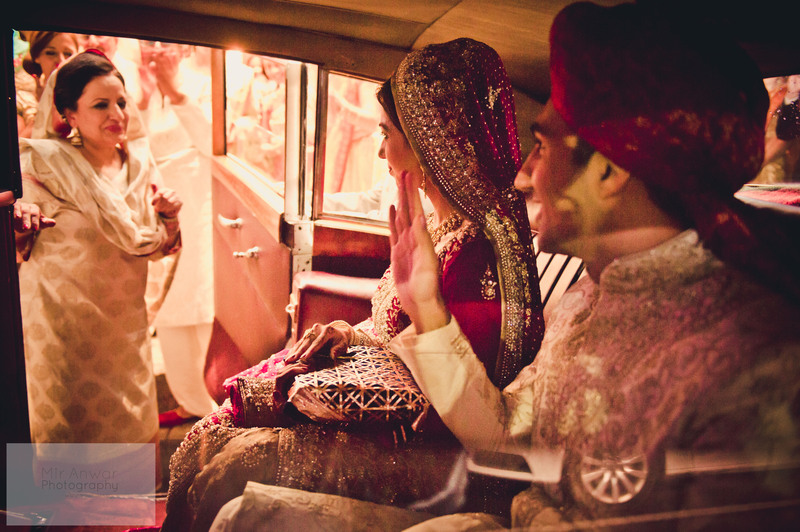 Wow Safa I don’t personally know you but came across your blog and I need to ask if you have any hints for me, I am a bride to be (sooo exciting even typing that) Getting married in Pakistan Dec 2014! It is mostly the boys size but I would still like to have a few touches for myself incorporated throughout the functions. 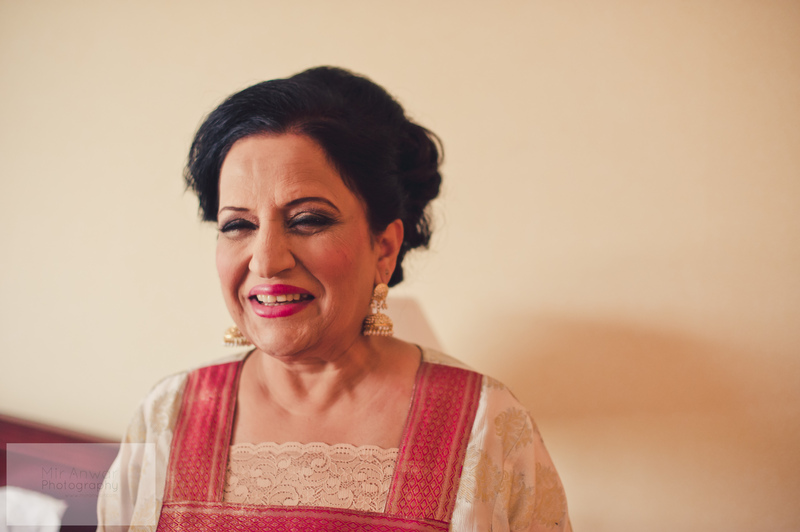 I had tried to just have a joint mehndi and a 1day Nikah ceremony but it didn’t go down well with the boys family so I am now left with a baraat and valima and not all my siblings will be making it so I really would like a bit of ME with this wedding. Thank you sooo much and ye guys looked stunning – the barn is my idea of heaven! Hey Zara! Thank you! He actually got it when he was in Dubai and I’m not sure the name of the store, sorry! Good luck with your planning! Hey Sofia! Thank you and congrats!!! The cake cutting and dood palai were after dinner and we had planned to do a photo shoot outside during dinner but it was raining so we never got to 😦 make sure you carve out some time for a photo shoot either before or during dinner! 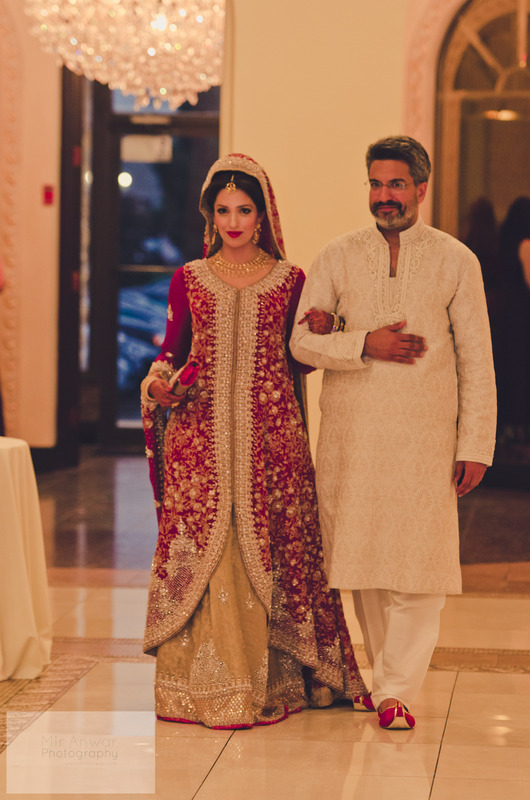 Could you just brief me on your gorgeous nikkah dress, please. 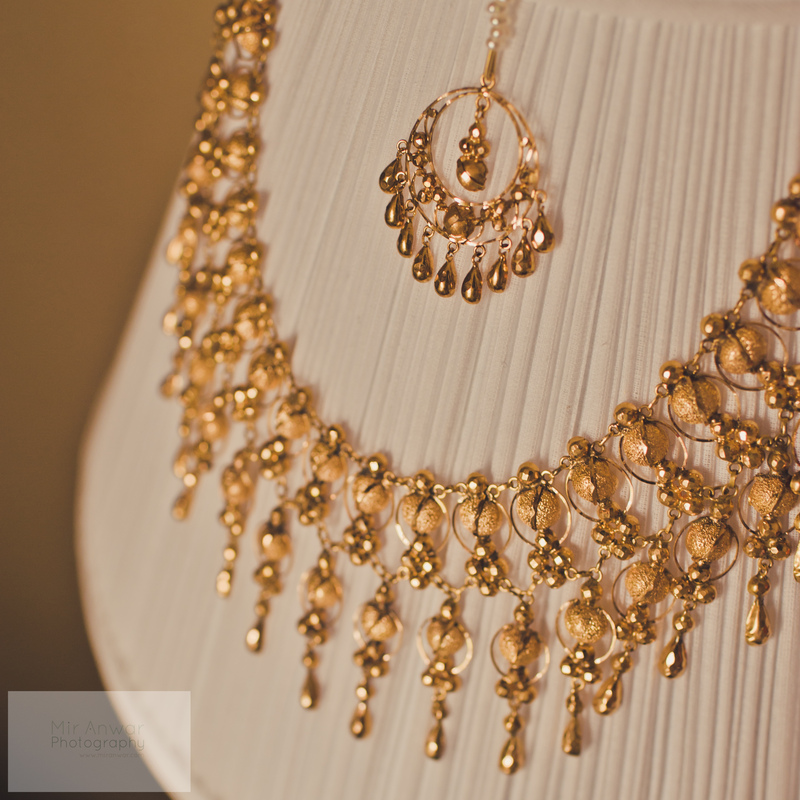 Did you custom make it and if so which vendor in Lahore? Where can I find them? Also, how much was it in USD and how long did it take (including alterations etc)? Hey! 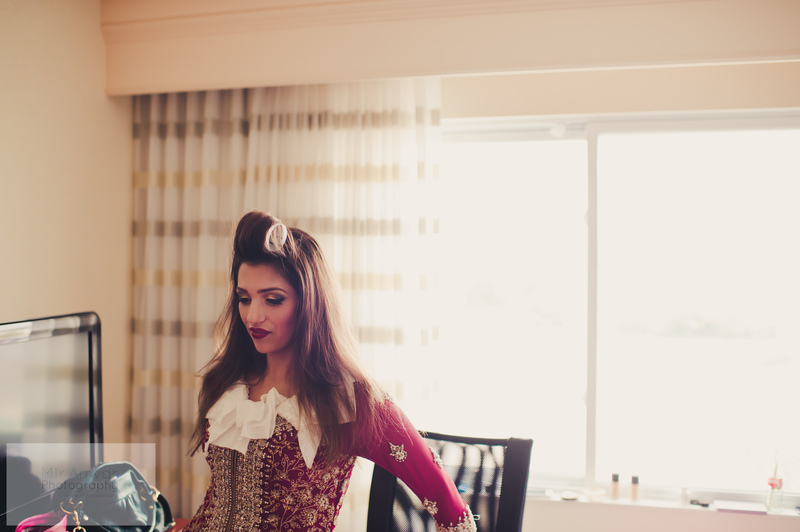 My dress was made by Karma, and yes I went to Lahore and had it custom made for me. It was $2000 and actually only took two weeks to make but Im told thats very rare! Good luck!! Personally I prefer a lighter shade but she told me that’s the lightest gold they have. Looking at your pictures I’m now wondering if your skirt is actually that same rich gold and your camera/lighting is making it look lighter, or if you picked a beige colour? Thank you! hi! your wedding looks amazing 🙂 I was just wondering at what hall you had it at in toronto? Thanks Abeeha! 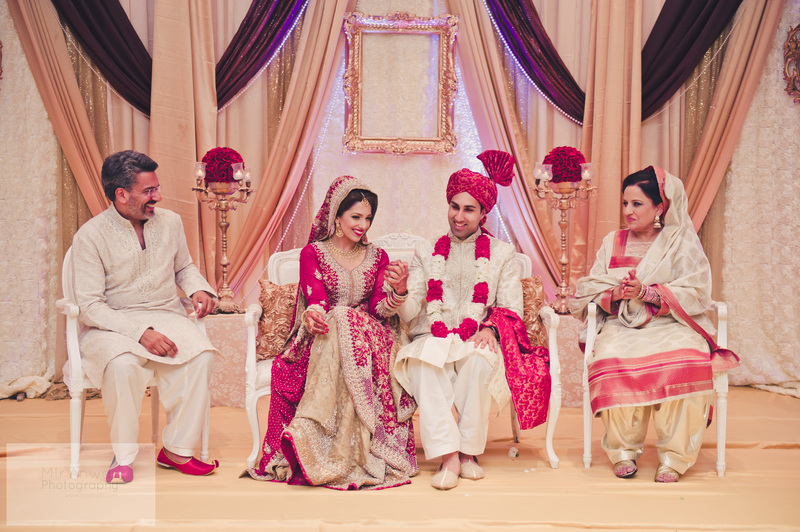 Ya, the shadi was at Paradise Banquet Hall in Vaughn! Beautiful pictures. I hope you’re having a lovely married life. 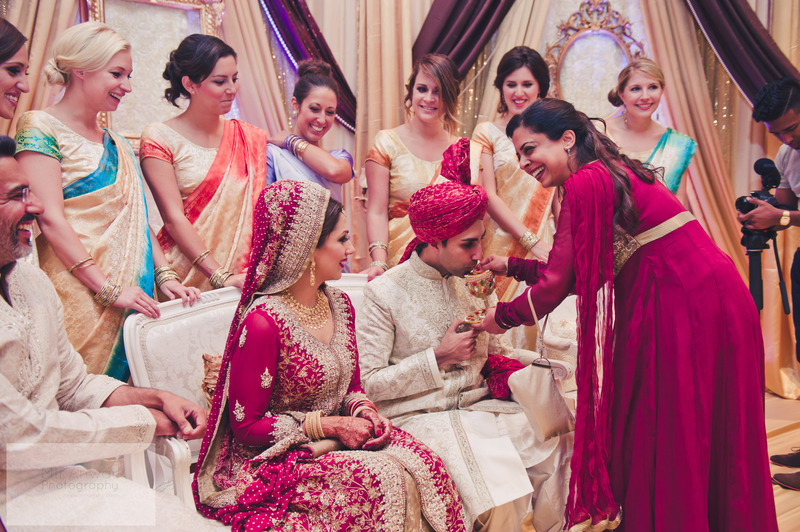 I just have a question about your husbands turban – where did you get it from to match your dress so well? Hi Aisha, thank you! I actually got Karma to get me matching fabric as the jamawar design in my skirt, but in the same red as my shirt! We bought it, but I can’t remember how much it was! 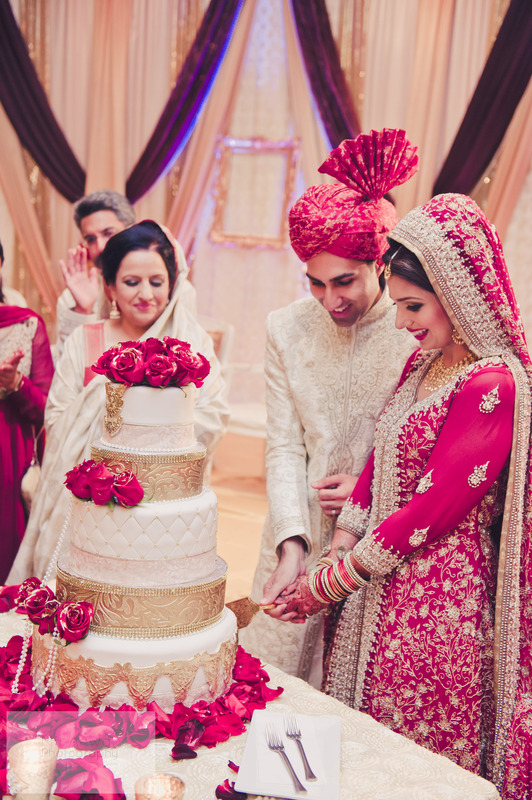 I’m planning my Valima…and to be honest I’m really set on having great food…given how detail oriented and specific you were, I’m sure you did alot of research and consideration on your menu and caterer. Do you have a post about that? 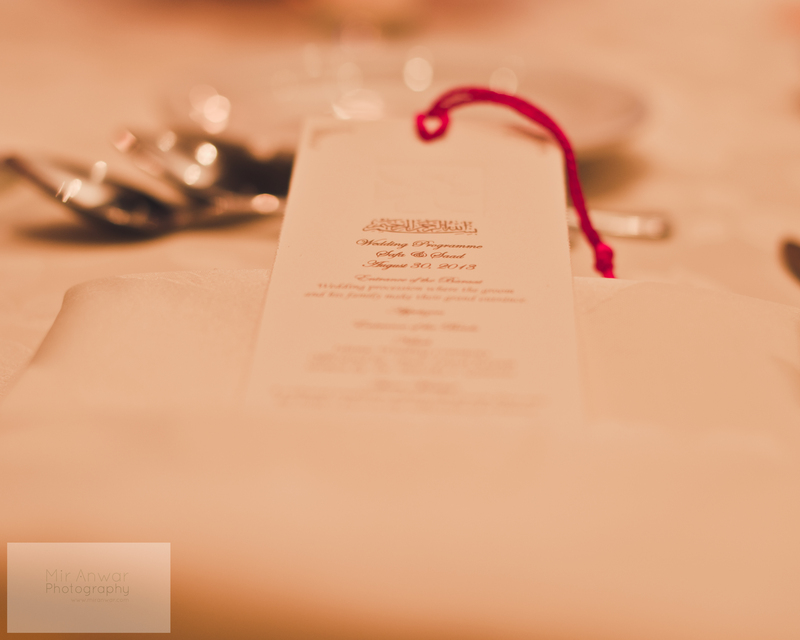 Or maybe you could provide some insight about what you chose to serve, and who you chose for catering? It’s really something that can make or breaks the whole event. 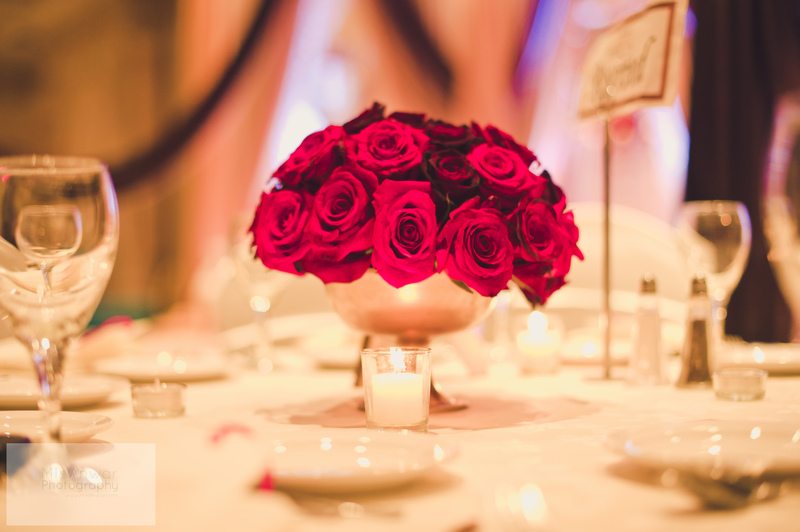 Some tips on your budget would be great as well…honestly we should all be so lucky to duplicate your event! Hey Adu! Thanks for your comment. I actually just used the caterer from the Banquet Hall, which was originally a Pakistani resto, but when we did the full menu tasting at the Host, we preferred that. My mom, bro, sis, fiancé at the time, and maid of honor went to the menu tasting and tried a bunch of dishes and then collaboratively decided. It was actually a fun process, and we were all very happy with the Host. We had negotiated with the venue on price beforehand and we paid $40/pp which included cocktailed appetizers and a mango shake when guests first arrived. Good luck! To clarify, the catering cost that you paid to the Host was on top of the $40/pp (that included the appetizers and shake), right? Hi Adu, no the total cost of the hall with catering including apps and the shake was $40/pp….We also negotiated ! Hi there! Amna of Lemon Truffle ! hello, what song did you use for yours & the grooms wedding entry? Hi! I can’t remember right now but I’m pretty sure it’s somewhere on my blog! 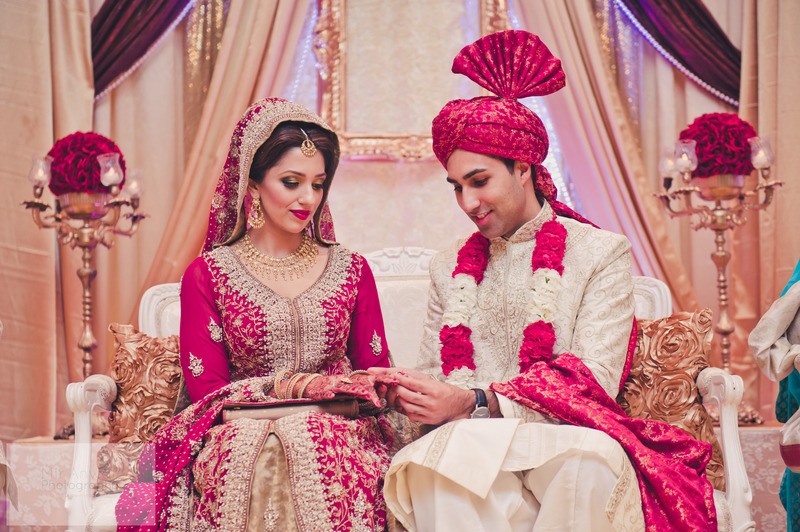 Awwwwww Most beautiful ever couple i saw in my life 🙂 😀 May Allah bless u both Ameeen!! Hi Safa! 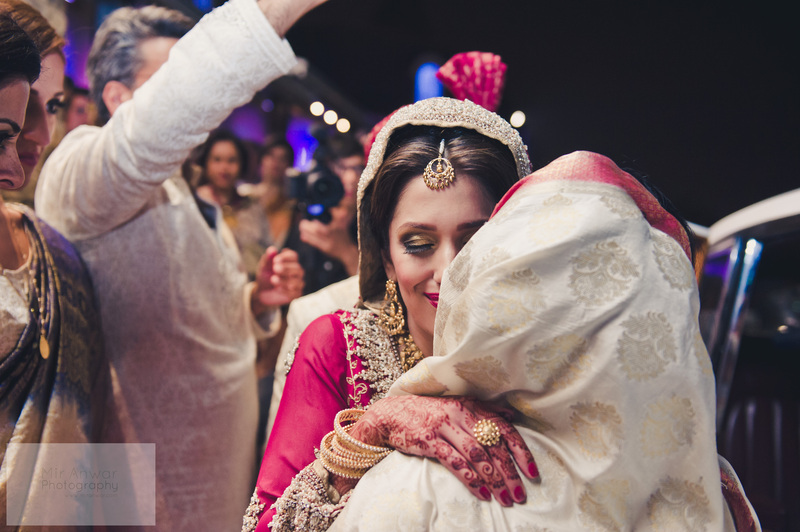 Your dress was so so beautiful on the shaadi! Absolutely stunning. Was is fuschia or red? I’m asking because I’m thinking about the same colour scheme for my wedding. Thanks! Hi! Thank you! It was a true red! Congrats! 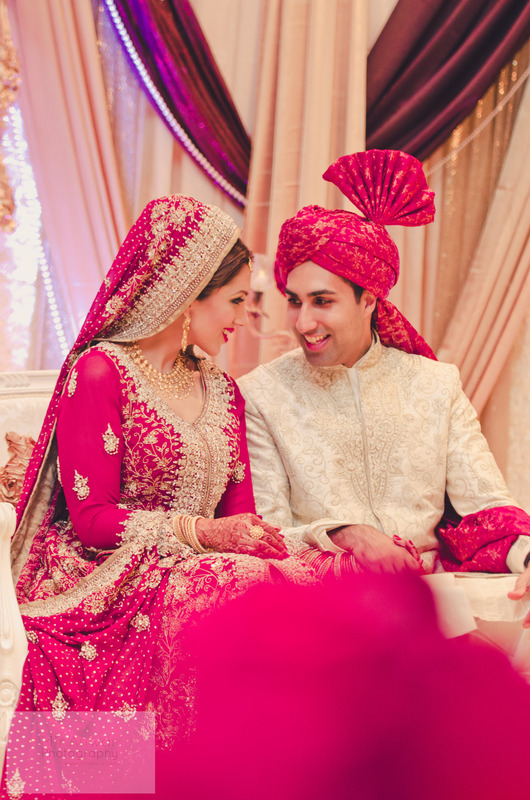 Awwwwww most beautiful ever couple Masha Allah i saw in my life 🙂 ❤ May Allah bless u both Ameeeennn!!! Congratulations beautiful bride! 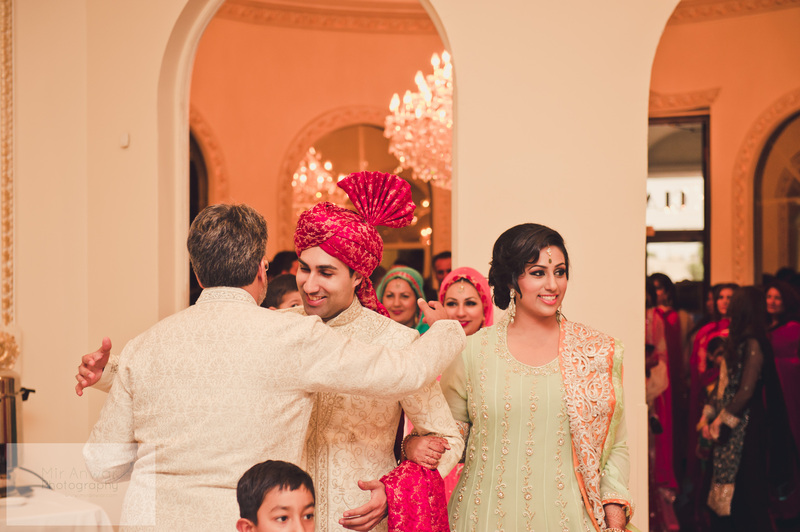 Where was the shaadi venue? What banquet hall? Thanks Neelam! Paradise banquet hall! I am starting to plan my wedding which is a year from now. Can you tell me what was your budget for your wedding? 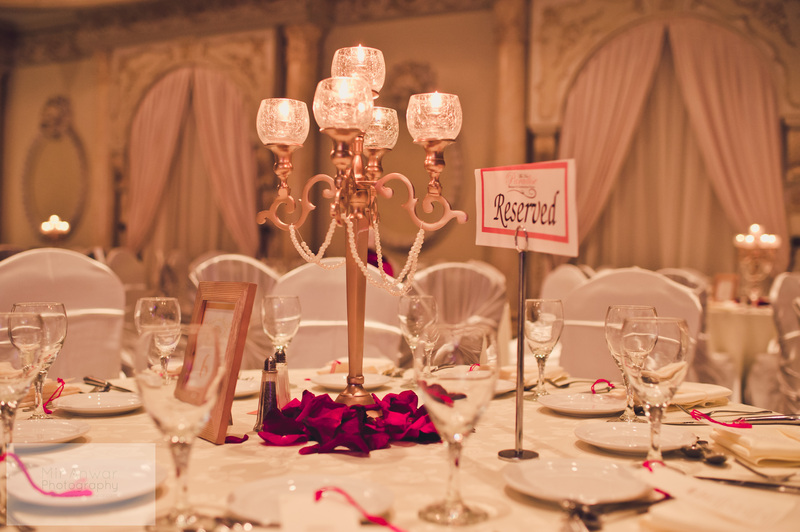 Also how did you negotiate prices with the decor, cater, ect……. That would be very helpful to know! 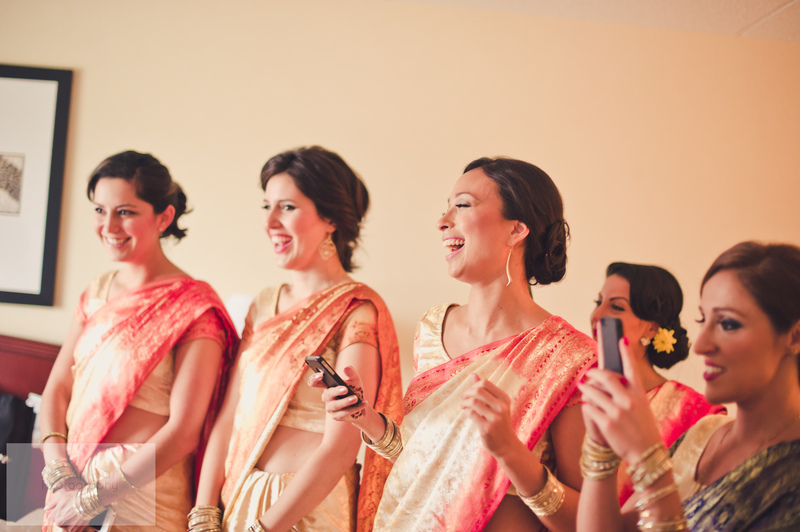 I am so glad I stumbled upon your blog as I was looking for ideas for my daughter’s wedding. You and your husband make an impressive couple MA. I hope you are enjoying a happily married life. 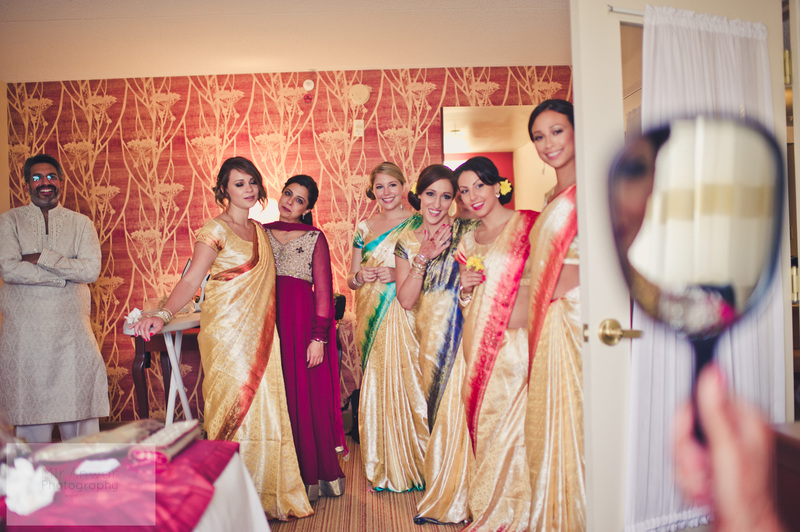 Your dress, venue, decor and photographs were all beautiful! 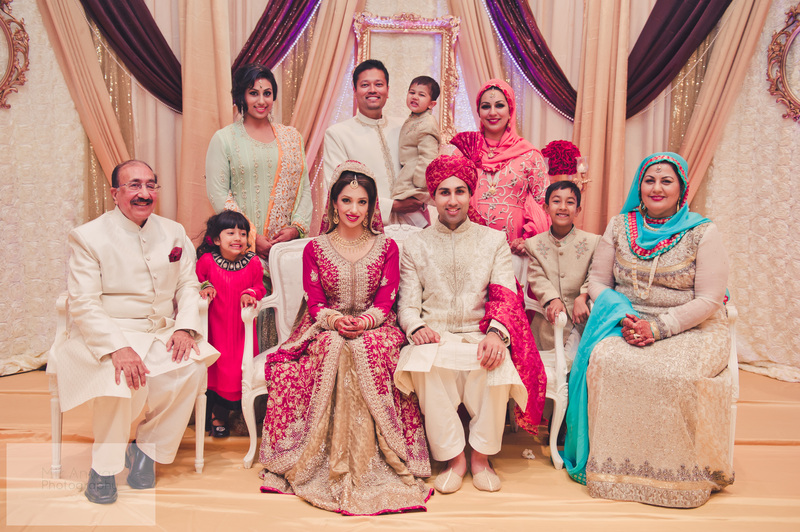 My family is new to Toronto and organizing a wedding here is going to be interesting!!! I hope my daughter’s wedding looks as beautiful as yours. Hi there, thank you! Are you based in Toronto? 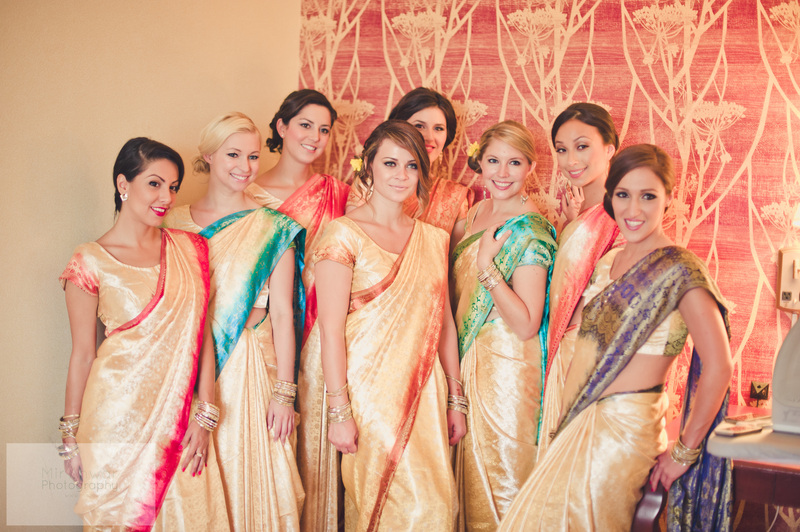 I just got my bridesmaid saris from Gerrard street in downtown! Hi there Safa! 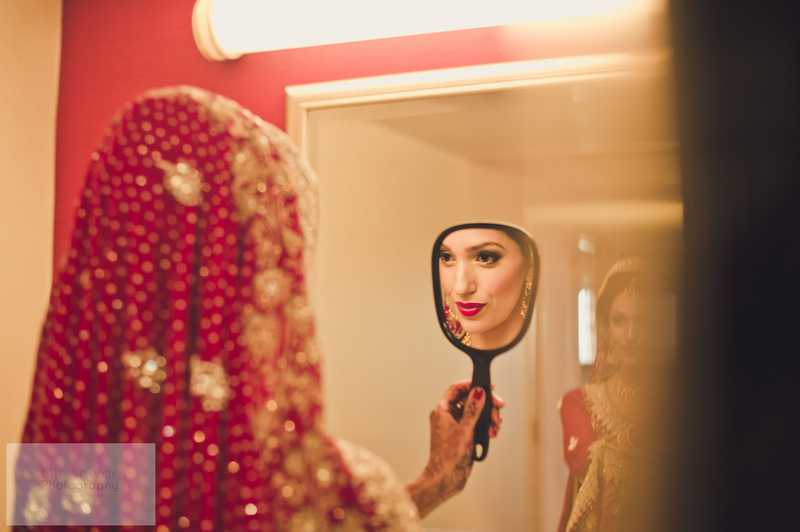 Beautiful shaadi week! It’s been so much following your journey..although I randomly landed on the blog a few days ago, it’s been keeping me highly entertained! Thanks so much for putting this together! 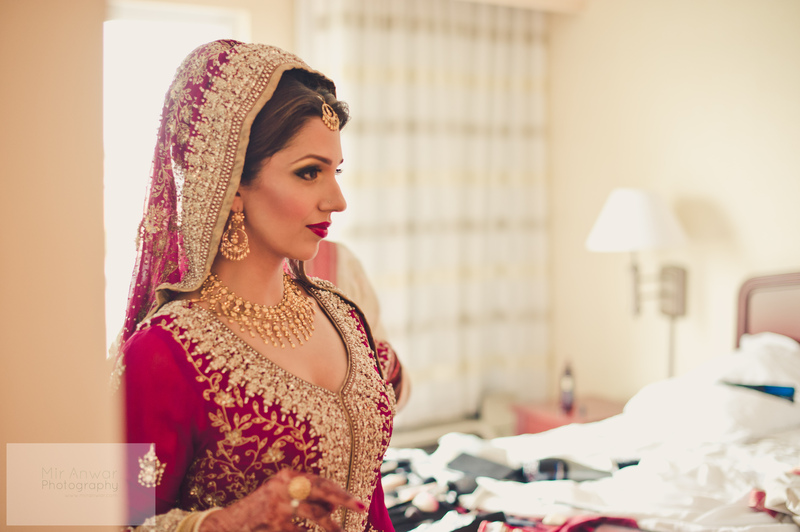 I was hoping to obtain some real serious advice…so my Valima/Reception is in Houston, TX around thanksgiving this year iA and although I don’t intend on doing anything super fancy, I do need to pull off the right makeup with my laal jora! I was hoping you could help me find someone there. In my state of utter desperation, I was even contemplating asking Mir Anwar (who’s based in Houston) buttttttt I’m not exactly sure how well that’ll flow :p Help a fellow dulhaniya out please? Thanks a bunch in advance! Lots of love and prayers! Hi Urooba! Haha I’m glad you’re enjoying it, thanks! Haha actually – I’m sure Mir would be the perfect person to ask he’s based there and would know so many vendors! Unfortunately, I don’t know too much about the Houston scene! Sorry I can’t be of more help – reach out to Mir!! 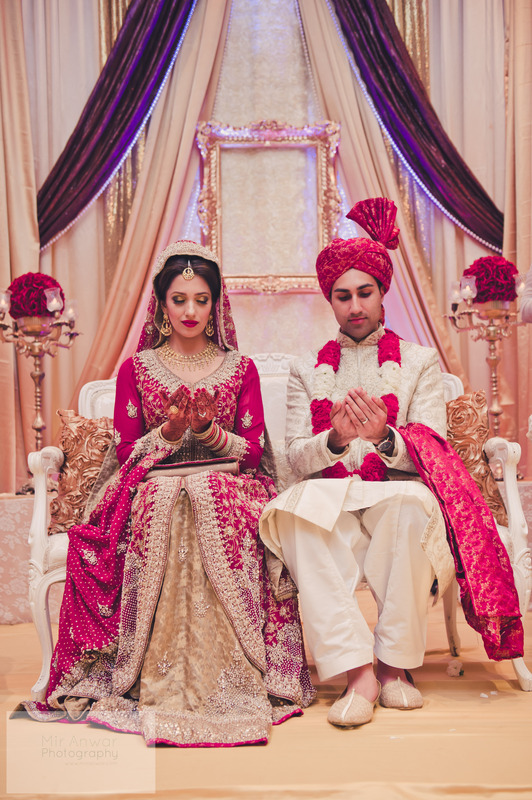 Hello Safa, I’ve seen many of your mehindi and shadi pics on other blogs and site, I was just asking, can i use some of your pics as well for articles and blogs i’m writing for a matrimonial website? I you wont mind. Hi Mehru, Yes, for me personally, I STRONGLY disliked the idea of not being in the same room as my husband when we were getting married. To me, this was the moment that I was committing to be with this person for the rest of my life, he better be beside me, ha! 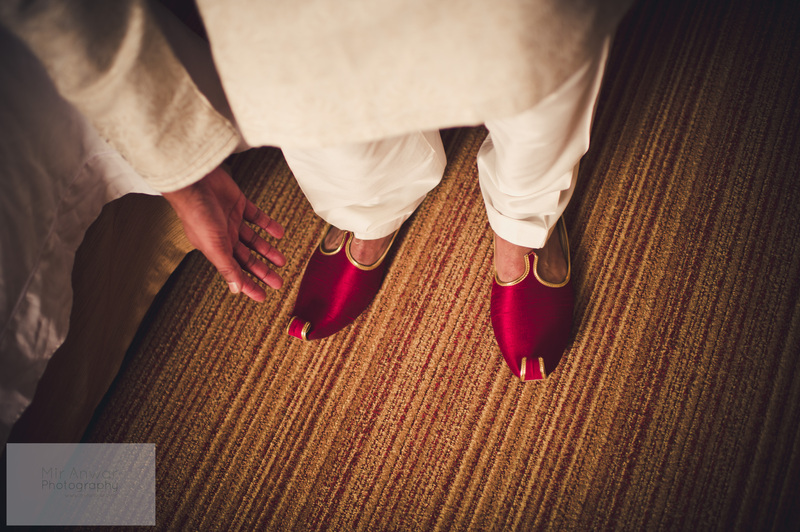 The process was basically after I made my entrance, I sat beside him and our imam proceeded with the process, and everyone in the hall were witnesses. 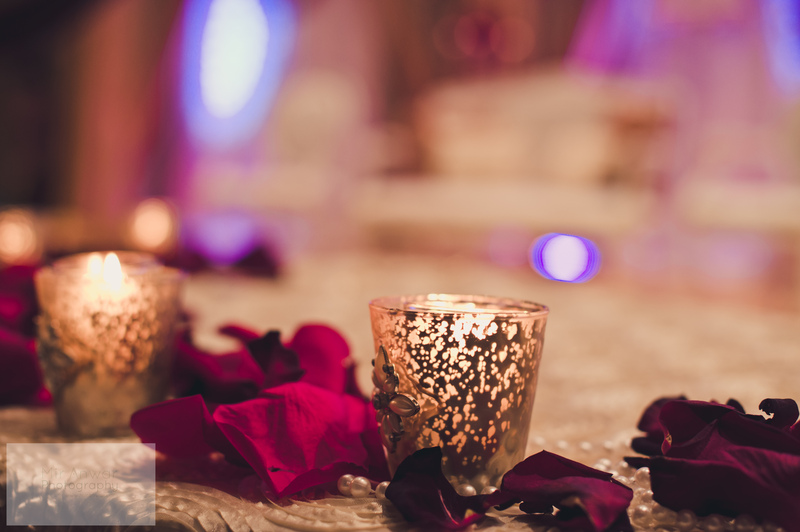 There’s definitely pics of my table decor included in the blog post of my wedding – half the tables were red roses and the other half were candelabras with pearl strands! Congrats!! You made such a pretty and happy bride. 🙂 Hope you’re having a lovely married life. I am getting married soon and your blog actually helped me alotttt. Thanks. 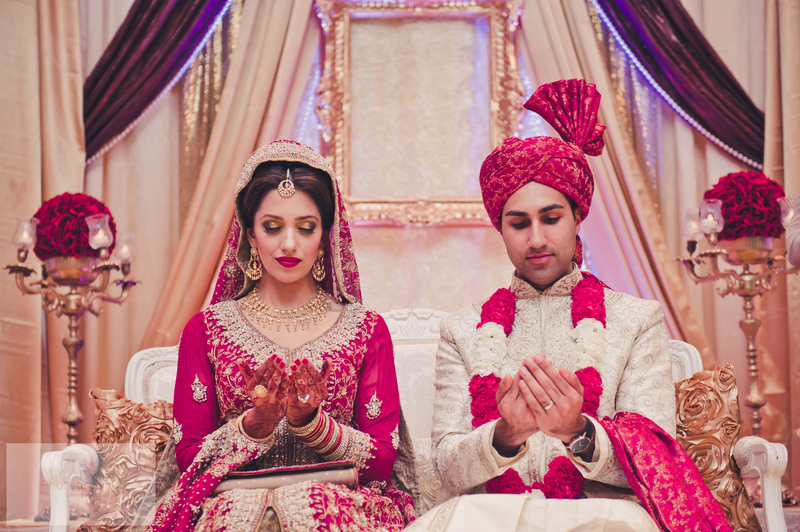 I have one question Safa, I’ll be getting married in Paradise banquet hall in evening (after sunset). Can you please share your experience taking photographs inside paradise? Like bridal and couple photographs. I wanted to take photos in daytime but could not do it. Hi Tasneem, Thank you! So unfortunately, we didn’t really get a chance to do a posed photo shoot inside, so the pictures from the wedding that we have are really us on the stage. That said, I do think there is good opportunity to maximize the space – the interior lobby is a rotunda of mirrors which could make for some interesting photos and the chandeliers are pretty as well. 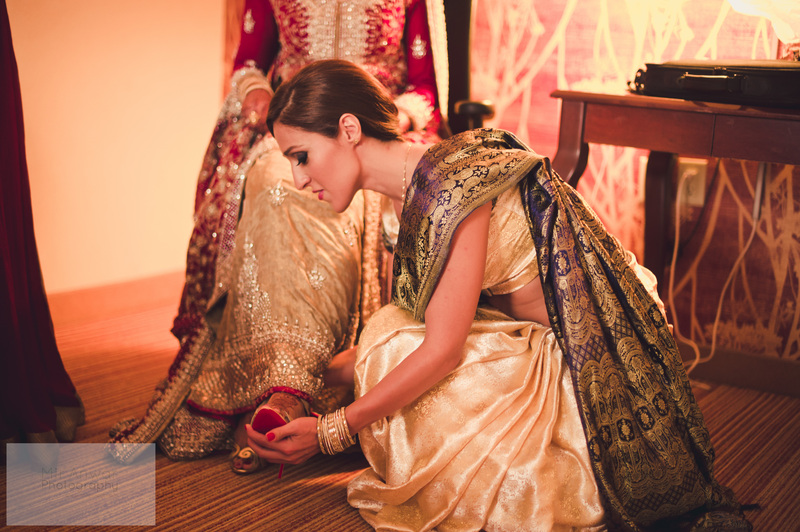 If your photographer is local I would say scope it out with him to plan for it beforehand. Congrats! Hey Safa! I am currently trying to figure out the best shade of red to make my bridal dress in. I noted yours is more of a pinkish red? or is it just like that in the pictures. I actually want something like that. Likewise, i really like the color of lipstick that sumera chose for u – was that also like a pinkish red – ie magenta/red color? Hey Sarah so sorry for the delay reply, both my outfit and lipstick were actually a true red but lighting may have made them appear differently. Hi, I know this is really late, but I really loved how you planned your wedding. Do you mind me asking how much each party is? Also, do you have a list of things every wedding should have? For example, like caterers, florist, etc. Thank you so much! Hi Sidra! I don’t think I have a list like that – only what’s already in my blog posts! 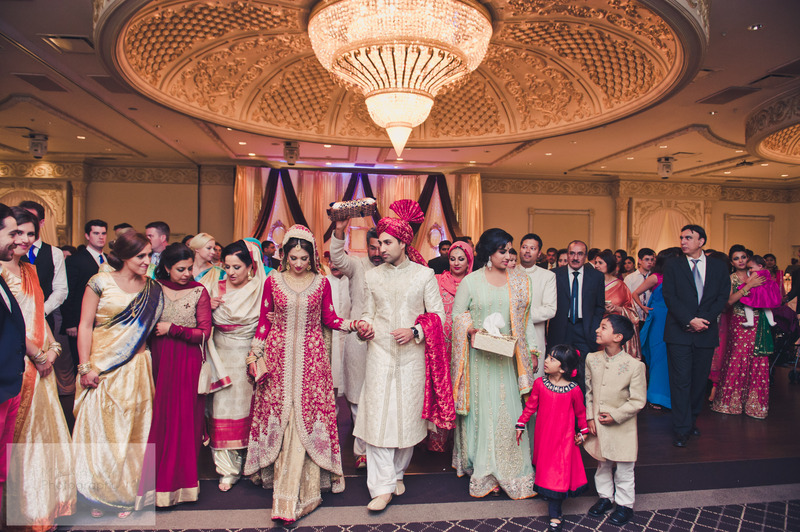 Costs can definitely range – the biggest one is the cost of the venue which usually is a per person cost, which can range from $20/pp up to $200pp depending on the venue, so multiply by however many guests you have and that easily the biggest cost. 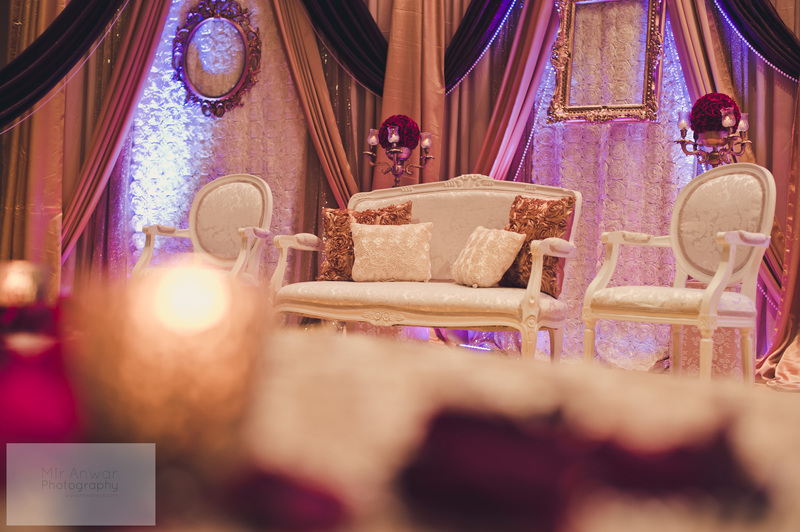 Photographer costs for 3 day’s can be up to $12K on some estimates (less expensive are the ones starting out in the business), video costs a few thousand too as does decor, which is why weddings can get into the tens of thousands of dollars quite easily!